(CNS): The former Cayman Islands premier is due to answer bail Tuesday morning when he is expected to face further questions regarding the RCIPS investigations following his arrest on suspicion of theft and various offences under the anti-corruption law in December. McKeeva Bush was released on police bail after two days of questioning and he has vehemently denied any wrongdoing. However, at a public meeting following the arrest and his subsequent oustingfrom office by his former Cabinet colleagues, Bush said he still expected to be charged at some point before the general election in May as a result of a conspiracy against him. 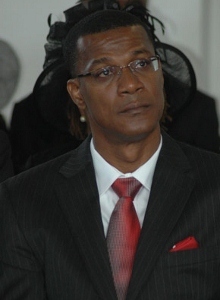 Bush was arrested over allegations of misuse of a government credit card and abuse of office regarding his involvement with a consignment of dynamite, which was imported by Midland Acres, a local quarry and property business based in Bodden Town, without the correct permits and licenses. The owner, who is known to be a close friend of the former premier, appeared in Summary Court last year after he and his company were charged with the unlawful importation. As MD and owner, Suresh Prasad chose not to fight and pleaded guilty to the offence and received a fine of $1300. However, Prasad was arrested again by police on the afternoon of 11 December and questioned on suspicion of offences under the anti-corruption law, including breach of trust, abuse of office and conflict of interest. He was also bailed by police to return for further questioning this month. He told the crowd that he had been questioned by the police regarding overseas dry cleaning bills and political books he had purchased in London for a library in the premier’s office. Describing his arrest as a conspiracy and pointing the finger at the governor and the Foreign Office, Bush vowed not only to fight the allegations but also to continue the political fight with a full slate of UDP candidates in West Bay, Bodden Town and George Town at the May election. When Bush was released on bail by police in December, the police stated that this was to allow for further investigations to take place both here in the Cayman Islands and abroad, in connection with the allegations made against him. They also confirmed that a considerable amount of property, including computer equipment, was seized during the searches of his home and office following his arrest. "The investigations involving Mr Bush are still very active and the RCIPS will be pursuing all lines of enquiry in consultation with the Legal Department," the RCIPS said as Bush was bailed to return on Tuesday 5 February. (CNS): The Captain's Table Bar & Restaurant became the third business on Cayman Brac to be robbed in ten days Saturday night when one or more burglars broke into the premises and stole cash from a safe. This follows similar break-ins at a liquor store and a souvenir shop the week before. According to Inspector Pearson Best of the Brac police station, cash and liquor were reported stolen from Big Daddy's Fine Wine & Spirits on 24 January, and the next day the RCIPS received another report that jewellry and watches had been taken from the Treasure Chest in Tibbetts Square. No one has been arrested in connection with any of the break-ins. Police said that on Thursday 24 January at about 9:35am, they received a report of a burglary at Big Daddy's on Gerrard Smith Ave, Southside. Police officers investigating the scene found that entry was gained to the building through the front door by forcing the lock. A quantity of cash and liquor were stolen. A search of the immediate area was carried out along with house to house inquiries. Inspector Best said that there are suspects at this time but no one have been arrested, noting that there are no CCTV cameras on the premises or nearby. Further inquiries and information received led to search warrants being executed at a number of premises with negative results. The next day, Friday 25 January, at about 8:44am a report was received of a burglary atthe Treasure Chest store in Tibbetts Square, West End. Inquiries revealed that one or more culprits forced the front door and damaged the door casing in the area of the lock. Assorted jewelry and watches were stolen. A search of the immediate area was carried out as well as inquiries with other businesses in the area. CCTV footage was examined with negative results. On Saturday 2 February at about 11:00am Cayman Brac police received a report of a burglary at the Captain's Table Bar & Restaurant on Bert Marson's Drive, Southside. Police officers found that the rear door locks were forced opened and the culprit or culprits gained entry, stole cash from a safe and left as they entered. (CNS): One man is currently in a critical condition in a US hospital and second is in police custody after a road-rage incident following a road collision in the early hours of Sunday morning. Police say the injured man was dragged several hundred yards along the road as he clung onto the door of the car attempting to leave the scene of the smash. At about 12:30am on Sunday 3 February, the two-car crash took place on Shedden Road near Elizabethan Square in George Town. A black Honda Accord and a white Ford Taurus had collided and while no one was injured in the crash, the two drivers reportedly got into an altercation. As the driver of the Accord started todrive off from the scene, the driver of the Taurus grabbed onto the door of the Accord. He reportedly held onto the door until the Accord subsequently crashed near to the Texaco gas station further along Sheddon Road, when the driver and passenger ran off from the scene. The 24-year-old driver of the Taurus sustained serious injuries and was conveyed to the Cayman Islands Hospital in George Town but he has since been airlifted to the United States for treatment where his condition is described as critical. Meanwhile, the driver of the Accord, who is an 18-year-old man, has been arrested on suspicion of GBH, dangerous driving and leaving the scene of an accident. As police enquiries continue into the incident officers are asking anyone who was in the vicinity of Shedden Road at the relevant time is to contact George Town police station on 949-4222, the RCIPS tip-line 9494-777 or Crime Stoppers 800-8477 (TIPS). (CNS): The governor of the Cayman Islands begins his bid this week to fight an order from the Information Commissioner that his office reveal a document relating to a controversial corruption investigation into the RCIPS under the freedom of information law. Lord Justice Moses from the UK appeals court will be sitting administratively in the first hearing on Friday regarding the first ever judicial review of a decision by Jennifer Dilbert, the information commissioner. Ironically, the first challenge to an order by the commissioner after some 28 decisions has come from the UK, which has pressed for more government accountability, via Duncan Taylor’s office and not from a political ministry. The governor is fighting to keep under wraps the report into a complaint made by Martin Bridger, the senior investigating officer in the internal RCIPS corruption investigation, which also spread to the local judiciary, . 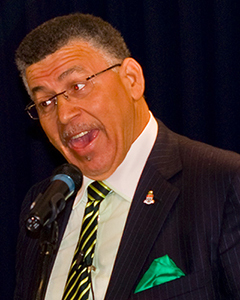 Following his departure from the Cayman Islands and the end of his investigation, Bridger had filed a complaint in the UK regarding the way that Cayman authorities, including the governor’s office, had dealt with the discredited investigation. The complaint was dismissed and Bridger was given sight of the document and the reasons why his complaint was dismissed but only on the condition that he did not reveal its contents. A freedom of information request was then made for the document, which was refused and appealed. In her decision on the appeal Dilbert found in favour of release and ordered the governor’s office to make the document public. However, following the 45 day period the governor’s office filed an eleventh hour judicial review with the Grand Court to challenge Dilbert’s decision. 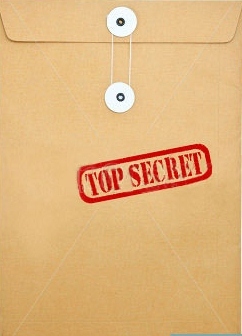 As a result of the nature of the judicial review and the governor’s efforts to keep the controversial document secret, it is extremely unlikely that the hearing will be open to the public. The commissioner’s office is defending Dilbert’s decision under the law and is being represented by Broadhurst LCC, a local private firm. The attorney general, whose chambers played a significant role in the Operation Tempura case, will not be representing the governor. Instead, he will be represented by Walkers to deal with what is likely to be a costly legal battle funded by the public purse. Bridger has also stated that he will be supporting the commissioner in the legal drama as he too has an interest in the document becoming public, believing that the content will vindicate his investigation, which has been heavily criticised, not least because of the arrest of a high court judge during the process of the corruption probe. The arrest was ruled to be unlawful by Justice Sir Peter Creswell. Justice Alex Henderson, the judge in question, walked away with a payment of more than $1.2million in damages as a result. 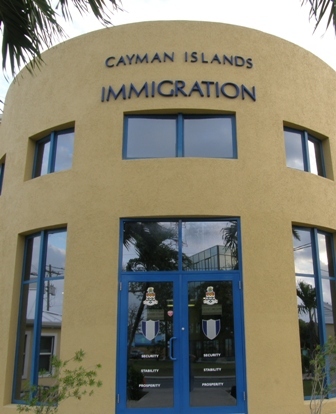 (CNS): The minister with responsibility for labour has admitted that the interim government may need to examine the situation regarding Cayman’s work-permit limit policy before the May General Election following events in Bermuda. Last week Michael Fahy, the Bermudian home affairs minister, announced that the country was dropping its six year term limit on foreign workers — a policy similar to Cayman’s own seven year rollover policy. As a result, Rolston Anglin said, some recommendations would be coming before Cabinet shortly, but he pointed out that, given the minority government, any legislative changes would require the support of other members of the Legislative Assembly. Although Anglin had previously indicated that there was still a lot of work to be done on any new legislation to address Cayman’s immigration policies and that it was very unlikely that any amendments would reach the floor of the Legislative Assembly before the election on 22 May, at Thursday’s press briefing he recognized that there may now be a need to move more quickly. In light of the decision by the Bermuda government, Deputy Premier Anglin, who is responsible for labour and financial services, said he did not want any of Cayman’s competition “getting ahead of us”. He pointed out that the Cayman Islands had already begun dealing with the issue with the introduction of the term limit exemption permits at the end of 2011. This was a stop-gap measure to prevent a mass exodus of what could have been thousands of workers over an 18 month period. This was as a direct result of the significant number of new work permits issued in the wake of Hurricane Ivan which were due to expire from the end of 2011 through into 2013. This temporary measure will last until October this year, which gives the government some breathing time. “I believe we are ahead of the curve,” Anglin said, adding that Cabinet was expecting some recommendations to change the law based on the work of the Immigration Review Team. But he said the new Cabinet would need to consult with other members of the Legislative Assembly. Vibrant economies needed to recruit talented employees, he said, and Cayman needed to remain attractive but it was also important to balance both sides. While retaining and attracting talent was critically important, there was also a need to ensure local people remained involved in the economy. Anglin added that Cayman needed to pay close attention to the situation in Bermuda but said major policy changes in immigration would need a wide remit to get through House. He said he hoped that all members would see this as critical and something they would be willing to move on to help Cayman remain competitive. In previous debates in the Legislative Assembly Opposition Leader Alden McLaughlin has indicated the PPM’s support for the abolition of rollover. He said the party favoured dropping the term limit and allowing everyone who stays long enough to apply for permanent residency and use that application process as the point where decisions about who stays and who goes are made. This was also one of the recommendations of the review team. The former UDP government commissioned the review and introduced the temporary extensions. Although the former premier has not spelt out what he wants to see, he had made it clear that the seven year rollover policy needed review. The only member in the country’s parliament that has been steadfast in his support for rollover and the need to apply and enforce the immigration law is the North Side independent representative, Ezzard Miller. this suggests that the five member Cabinet should not have too much trouble canvassing enough votes to make a policy change before the General Election but with this parliament due to be prorogued on 27March it gives the interim government less than eight weeks to draft a major policy change to the law. There are currently around 1,400 foreign workers who are still here post rollover on the extension permits who, according to the conditions of the TLEP, are not entitled to apply for permanent residency, though some believe that will be challenged in the courts. Whatever happens between now and May however, the business community is keen to see government address the ‘rollover problem’ well before October. Meanwhile, in Bermuda, Fahy said that the decision was made there to help that jurisdiction grow its economy and was a “red-carpet approach, conveying that Bermuda is open for business”, as the term limit policy was considered a barrier to job creation. Wrestling with the same problem as the Cayman Islands and the need to ensure local people are not marginalized with foreigners taking posts that qualified Bermudians could hold, the minister pointed out that work-permits would still be issued for set periods. When that time expires on those permit the jobs would have to be re-advertised and where a Bermudan qualified they would still be given priority. However, the new policy will allow those workers whose permits are renewed to remain in Bermuda beyond the six year limit. (CNS): Cline Glidden, the tourism minister in the minority government, has admitted that mistakes were made during the previous UDP administration and offered an apology for the failure of government to hold weekly press briefings. He spoke of the minority government’s commitment to openness, transparency and cooperation and indicated that the interim team wanted to be accessible to the media. The weekly press briefings were introduced by the former PPM administration and acted as a forum for government to communicate its work and allow the press an opportunity to ask specific questions in a public forum. Although the UDP continued the briefings at first, it was not long before the former premier put a stop to them. McKeeva Bush began taking aim at the media in early 2010 and soon after stopped the regular briefings and called them on an ad hoc basis. But before long he was speaking to the people via statements broadcast on television and radio and stopped speaking directly to the media in collective public forums. While he would sometimes speak to certain journalists or respond to direct questions, he abandoned the open public forum. Bush also began to seek other ways to have better control over the message he was trying to deliver on behalf of his government. He explored the idea of a UDP sponsored newspaper and website but in the end settled on a government television channel, which now broadcasts the Legislative Assembly proceedings as well as carrying other government programming and news broadcasts. Ironically, the channel now also carries the weekly press briefings, which have been reinstated by the interim government. Following the fall of Bush’s administration in the wake of his arrest in December, the break-away former UDP five under the leadership of the new premier Juliana O’Connor-Connolly, immediately convened a press briefing and have continued to hold a meeting with the local media every week since. During Thursday’s briefing several of the ministers in the minority government mentioned the Cabinet’s support for the continued regular meeting with the media, pointing to its importance in terms of communicating to the public and transparency. Asked why, given that support, they did not speak out when the former premier stopped the weekly press briefings when they were all part of the UDP administration, Cline Glidden put his hands up and admitted it was a mistake. “Going forward, we are committed to the press briefings,” Glidden said, adding that the failure to hold regular meetings with the press had to be put down to “one of the mistakes made in the past” as he offered apologies for those mistakes. Deputy Premier Rolston Anglin added that while the weekly briefings had stopped, individual ministers had still met regularly with the press regarding the work specific to their ministries. However, he too echoed his ministerial colleagues’ commitment to the press briefings and keeping the lines of communication open. During his time in office Bush, the former premier, indulged in a number of attacks on the media and pointed the finger at different publishing houses at different times, even barring CNS from the few briefings that were held. Although he criticised the media in general he saved his most scathing attacks for Rooster's morning call-in show, Crosstalk, and CNS — in particular the ‘bloggers’, a term Bush used to describe the regular commenters on this media site, which appears to have stuck. The former premier criticised the local press for its use of Freedom of Information and often made personal attacks on individual reporters and displayed his obvious frustrations when he believed the local media had not delivered his message in the way he had hoped. The sentiment was shared by the local opposition leader and the new parliament voted in favour of a motion overturning the new law. In the wake of the vote the governor’s office released a short statement from Ric Todd, who said he was aware of the decision of the House of Assembly. He pointed out that he had the power to stop the efforts by the parliament to overturn the law but said he intended to discuss the issue with his colleagues in Cabinet this week. He said the “advantages of VAT” had not been well communicated and pointed to the privately funded and orchestrated campaign against it. He said UK Ministers have consistently made clear that they are open to credible and sustainable alternatives to VAT, but no proposals have been received. Todd added that the UK believes VAT is “good for public finances,” but the overseas territories minister had suggested its implementation as scheduled with a review twelve months later.